The Kids Outing Wristband can be used anywhere, anytime and for any occasion, whether it is for traveling, School/Creche Outings or even going to the Shopping Centres, it is vital for Emergency Identification Information in case your Child is lost or Medically not able to speak. 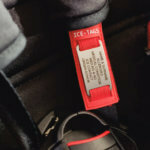 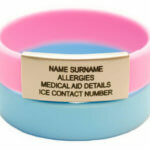 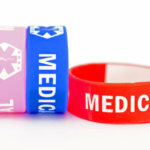 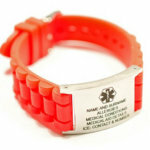 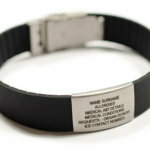 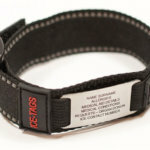 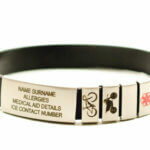 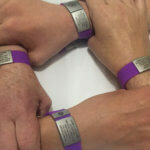 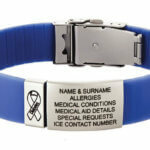 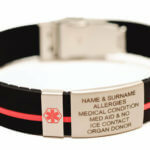 Identification, contact and/or allergy information can be written on the back of the wrist band with a Permanent Marker. 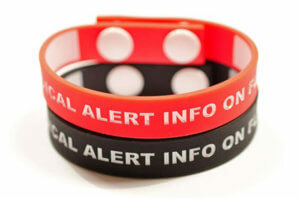 This wrist band is secured by a double button stud. 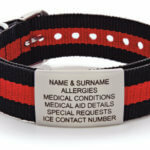 Available in Black and Red and the colours can be mixed. 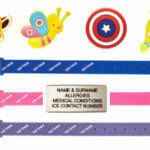 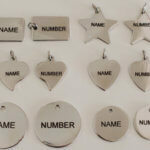 Length 20cm, to fit wrist sizes approximately 16cm in circumference. 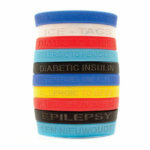 The amazing Double Pack includes 2 x Bands. 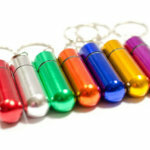 Please select the colours you prefer when ordering. 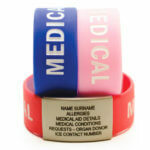 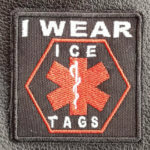 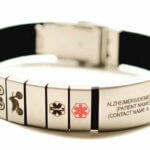 Medical Identification is extremely effective In Case of Emergency!